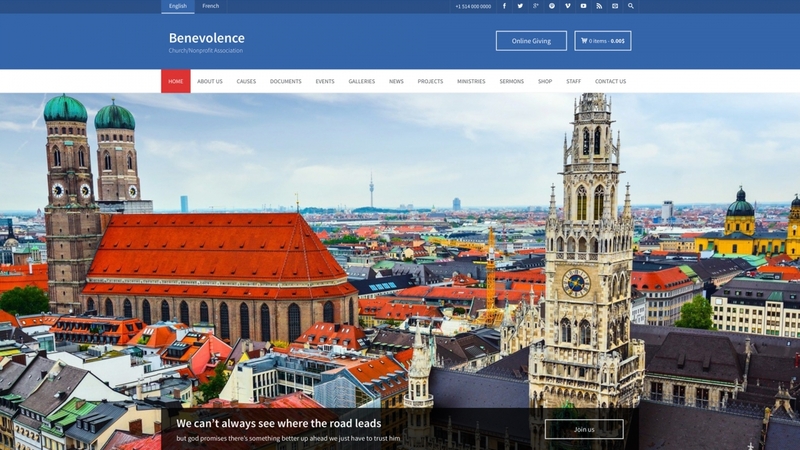 If you are looking for a responsive, powerful, fully functional and easy customizable Church WordPress Theme then you should definitely try our The Benevolence WordPress Theme built for Churches, Basilica, Non-Profit Organisations, Non-Profit Associations, Foundations or Religious Communities. Benevolence includes many church-specific features such as Sermons, Ministries, News, Photo galleries, Sponsors, Projects and Events. The theme is visually stunning and has features that are ideal for managing a church or a Non-Profit website. The main features which are extremely important and useful for Churches or Non-Profit Organisations are Staff, Causes, Documents, Sponsors and Projects as well as Events Calendar. The Theme is fully responsive and it is automatically adapted to the screen size, resolution and device on which the web site is being viewed for on. This means your website will look great whatever the screen size or device your visitors use to visit your site, from desktop computers to tablets or mobile phones. You can also accept donations through the theme thanks to the included PayPal integration. Just add your PayPal information to the donation button on your Causes so you can start collecting funds today. After a successful transaction, you will get the payment automatically to Pledges and you will have the possibility to follow all transactions. Alternatively you can add manual payments. With Benevolence theme your religious, charity or nonprofit organization will be able to start making the world a better place today.